Dream or nightmare, coffee wine in a can! If you’re a coffee lover and a wine lover, we’re about to tell you something that will either completely excite or disgust you. 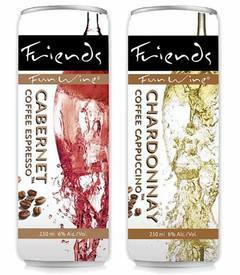 Friends Fun Wine has launched a collection of low-calorie, low-alcohol coffee wines in cans: Cabernet Coffee Espresso and Chardonnay Coffee Cappuccino.